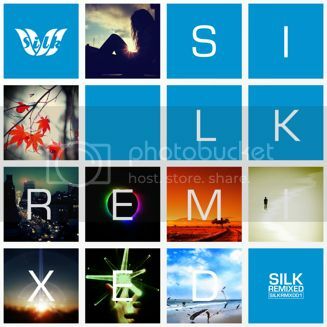 Silk Royal is very pleased to present the imprint's first ever 'Remixed' compilation, featuring new interpretations of back catalogue favorites by Solarity, Matt Lange, Urban Breathe & Ad Brown, Jacob Henry & Approaching Black, Sean Marx, G-Tek, Derek Howell, Claes Rosen, and Jason Bradberry. The first three cuts in the package, supported on radio by the likes of Mark Pledger, Solarstone, & Richard Durand, were previewed on February's Silk Royal Showcase 01 compilation, but were previously unavailable as full-length versions. Kicking off the release, Soundprank treats us to a visionary interpretation of Jacob Henry & Approaching Black's "Yesterday's Tears." Walking the line between progressive house and progressive trance, the epic breakdown in this one insures a hands-in-the-air reaction from the peak-hour set. Tom Fall follows with his 'M.A.T.E.' (Morning After The End) rendering of Jason Bradberry & Emily Haughton's Autumn. A simultaneously soothing and uplifting piece, this one once again highlights the breath-taking vocals of Ms. Haughton. Dezza's mix of Matt Lange's "East Coast" is next in line -- a quintessentially roaring peak-hour progressive house rendering from the Canadian sensation. Rising talent Maori Games follows with his innovative remix of Derek Howell's "Stride," which recently received a full independent release on Silk Digital; difficult to categorize, this genre-bending take features a dancefloor-killing bassline and an unexpected progressive breaks drop midway through the track. British artist Ben Coda, who is currently soaring into the progressive house elite, rounds out the first half of the package, offering another big room spectacle in his interpretation of Sean Marx's "Cissoko." In the second half of the release, we have four more cuts, all of which take a bit more of a "classic" prog house turn. G-tek, whose featured as an original artist or remixer in three of these, offers a stunning remix of Solarity's classic "Essence"; a rolling bassline and some of the gifted Panamanian producer's classic synth stabs propel the track onward, leading up to a euphoric break. Next, Polish super-duo Kobana & Mario Hatchet, who have been tearing up playlists recently (including their magnificent contribution to the Anjunadeep: 03 compilation) offer an exhilarating interpretation of G-Tek's "Fantastic." Gorgeous chords and arpeggios infuse this one with a jubilant energy from the very start. American veteran producer Dave Cortex follows with a remix of Urban Breathe & Ad Brown's beloved "Catching Stars"; Dave's "filter house" style is once again on display here, as he manages to masterfully blend in all of the great hooks of the original into his own signature style. Finally, G-Tek appears yet again with a take on one of Silk's original releases: Claes Rosen's "Sweet Memories." A signature G-Tek bassline fuses with the great synth hooks of the Original to glorious effect. Massive, amazing, incredible, super, mega and ultra release.